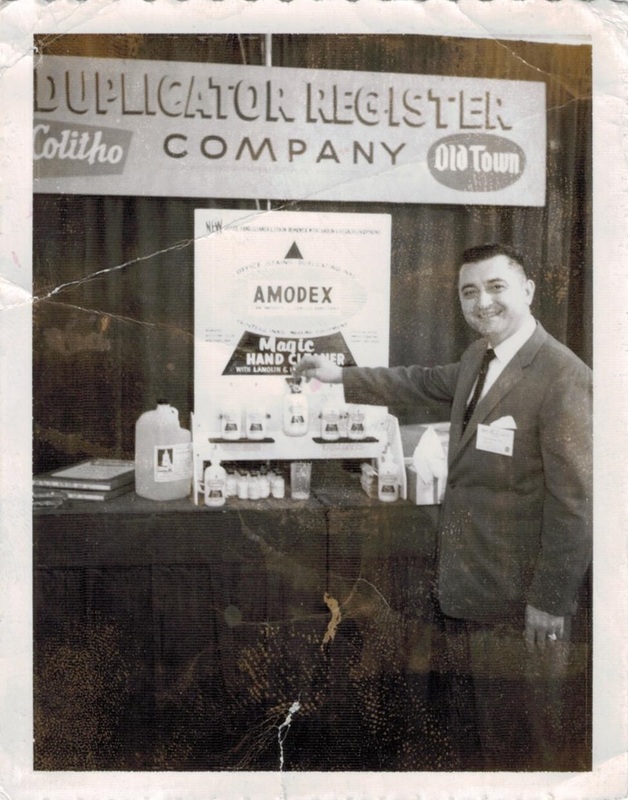 A. Peter Fatse and his wife, Sylvia, started Amodex as a means to remove ink from hands. 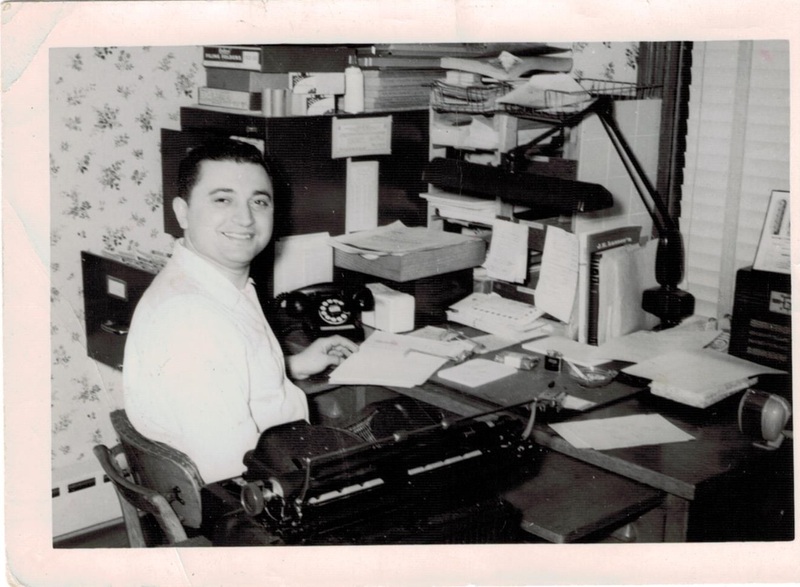 Peter was a printer in the 1950’s, and the tricky carbon, hectograph and mimeo ink stains discolored hands and often permanently marked and ruined garments. To combat these troublesome stains, he and his wife set out to solve the problem. 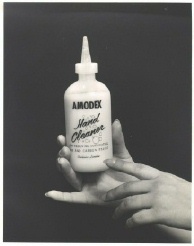 In 1957, they introduced a uniquely formulated cleaner, Amodex Hand Cleaner, which they marketed primarily to schools, banks and industry. By 1958, Silvia and Peter left the printing business and founded Amodex Products, Inc. While Peter “hit the road” promoting his products, Sylvia maintained the day-to-day operations including raising their three children. Her eldest child and only daughter Beverlee is the company’s current president. She spent many years working with her father to promote Amodex and, as the mother of 4, served as a valuable stain expert. She left the company in the late 90’s to pursue her career interest in education. Beverlee returned in 2005 to step in when her father’s illness left a void at the Company. She and her family now run Amodex with the same enthusiasm and commitment to product excellence and customer attention that has been the hallmark of her parent’s legacy.